Why Internet Of Things Is New Talk Of The Town? Home > General > Why Internet Of Things Is New Talk Of The Town? 01 Feb Why Internet Of Things Is New Talk Of The Town? Technology is rapidly changing how we live, work and interact. Who would have thought that the image we all saw in Star Wars of Princess Leia, hologram talking to Luke from R2D2 will actually be a possibility today with HoloLens. Technology is now coming to what many futurist shows and novels predicted. One such development is the internet of Things or IOTs. 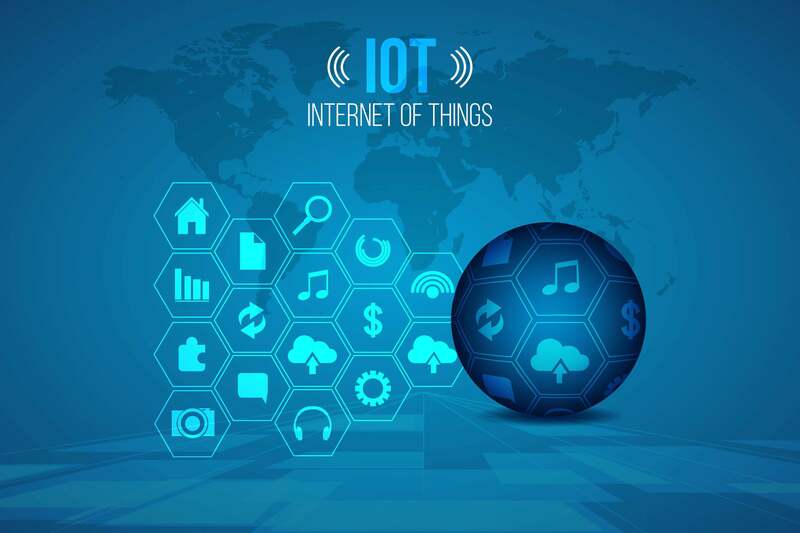 Internet of things is the term that is used to describe any network where your devices, vehicles, buildings and other items are connected together through a series of electronics, sensors, software and internet connectivity. These all are then connected to a single or multiple apps for user to control them remotely. 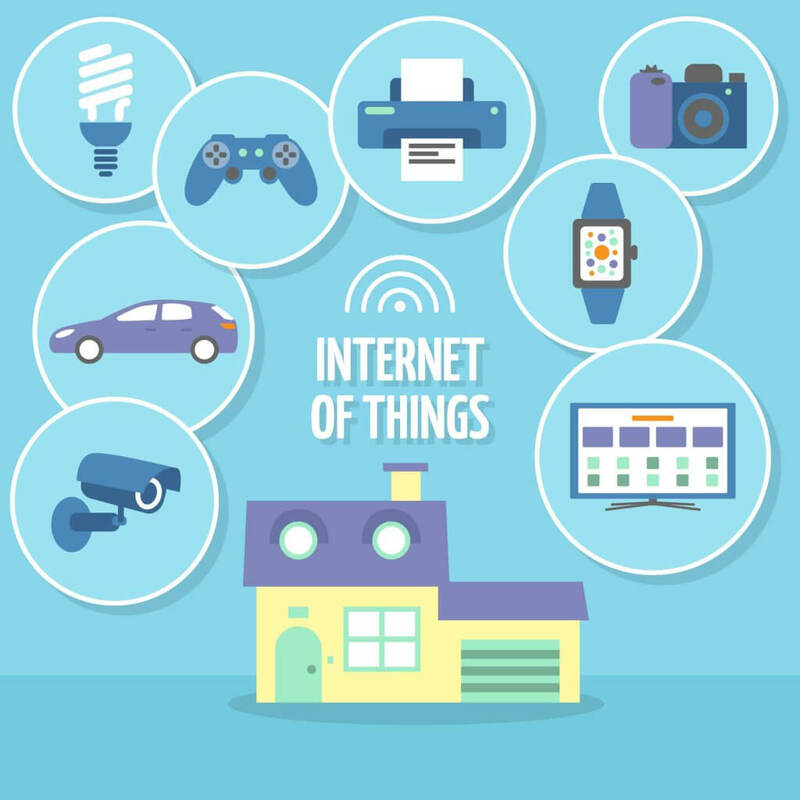 Internet of things basically converts your everyday appliances and objects into smart ones. They communicate and share data with each other, thereby making your life incredibly easy. Internet of things is definitely is a real cool technology advancement and here’s a list of five different things that actually make it cooler. There are now locks available which you can use for your home’s security. These locks will make you forget about your keys as they will automatically open when you reach home and will lock up when you are leaving home. You can share access to your home to your guests, friends, nanny and even your pets. And that’s not all! You can set timers on the access that you enable, which means that whenever your guests or nannies leave, their access will simply expire. The locks and their activity can be monitored through your smartphones. Here you can share access and also see the activity log to see who entered and left your home. IOTs in security systems not only help you automate them but also allow you to enjoy great visibility and peace of mind. Conserving your electricity can do wonders for you. Many companies are offering customers the chance to know how efficiently their light bulbs are working. Also, you set them for mood lighting whereas also switch them on and off, all through apps and Smartphones. Imagine knowing what’s the condition of your car is before you even leave your bed. Many car manufacturers are offering you smart cars that are connected to your Smartphone’s through an app. You can find out about the miles you have driven, the fuel situation along with alerts for motor oil. Connected cars as they are often called will help you know about your car before they develop any problems. Most of the time we hear about the internet of things and how it is helping with your personal convenience. But health industry is also adopting internet of things with open arms. Numerous gadgets and apps have been developed that share your health data directly with your doctors and hospitals. Your ECG, respiration, skin temperature and other essential readings will be sent directly to your doctor so that they can take action if something is wrong. One of the foremost things that Internet of Things tags with is tracking i.e. constant monitoring of your assets. For businesses this offers an incredible opportunity, they can remotely monitor their assets from headquarters and ensure that they reach their destinations. When you think about the internet of technologies and how they are reshaping our world, they seem cooler.